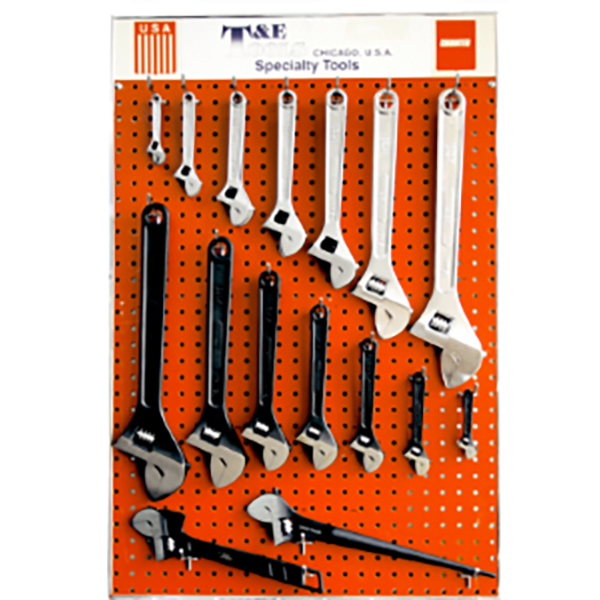 Adjustable Wrenches Merchandiser Display with tools is just one in the many display panel category groups. Custom boards are 24" x 36" (600mm x 900mm) fitted with hanging hooks and reorder cards. Apart from the 40 selected display panels we have designed - you can choose your own selection from the many thousands of hand and speciality tools to suit your specific needs. There are 40 individual display panels that are set out in their respective categories to cover the range of automotive specialty tools and industrial hand tools. You can choose the required categories or have T&E Tools design panels to suit your specific needs. Click the "Related Items" tab to see the different categories.